Mike Alter, Pierre Begin, Jaques Begin, Nick Evans, Rich Fields, Matt Higgins, Chad Hodgdon, Matt Hudson, Ben Jantzen, Chris Jerrett, Chris Kenney, Kyle Kilgour, Bill Lenich – Asst. Captain, Shanon Levenherz, Ben Levenherz, Chris Ludwig – Asst. Captain, Brian Marchellos, Justin Pagano, Josh Rappaport, Mike Schulof – Captain, Tom Weatherly, Mike Woods – Captain. 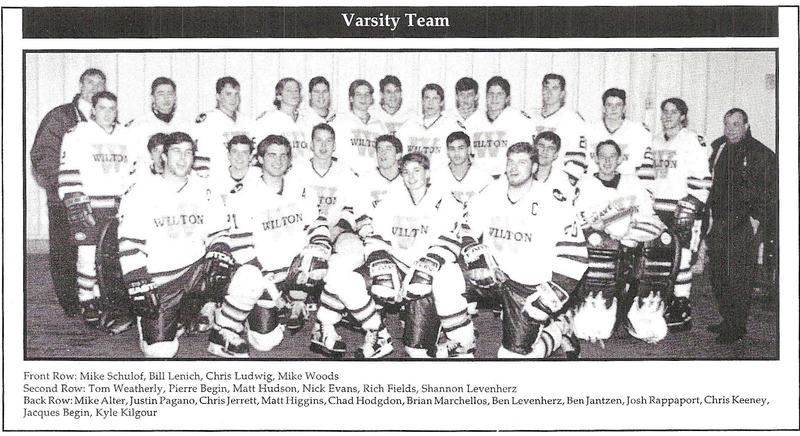 Led by Senior Captains Mike Woods and Mike Shulof, and Assistant Captains Bill Lenich and Chris Ludwig (who returned mid-season after breaking his neck during the previous season), the Warriors Hockey team had quite an exciting season, winning six straight games to end the regular season with a 14-4-2 record. Seniors Matt Hudson, Jaques Begin, Pierre Begin Shannon Levenhertz, Nick Evans, Rich Fields and back-up goalies, Devin Burnett and Tom Weatherly, also made contributions as they entered the FCIAC tournament for the second year in a row. 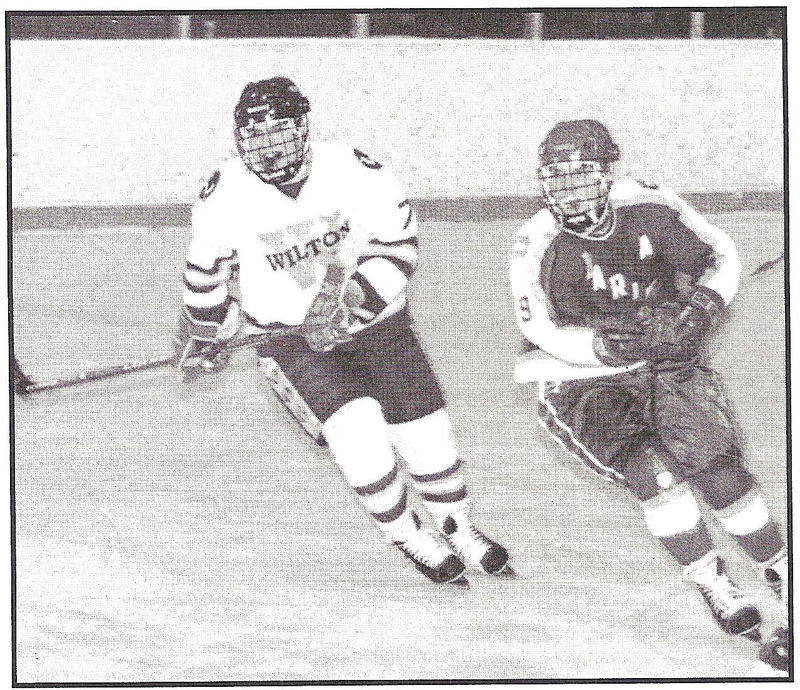 After a four-hour game against Ridgefield with eight overtimes, 16 pucks, 125 saves and 132 shots, Bill Lenich scored the winning goal to put Wilton in the semi-finals against Trinity Catholic. Catholic beat them in another overtime game, 3-2. The Warriors were ranked seventh going into the States. They beat Fermi of Enfield, 5-1, and then third ranked E.O. Smith, 3-1, to put them in the semi-finals against second ranked East Haven.